Croatia’s government said it will appeal the ruling of the Arbitral Tribunal of the United Nations Commission on International Trade Law (UNCITRAL) which dismissed Croatia’s claims against Hungary’s MOL in a case concerning Croatian oil and gas company INA [ZSE:INA-R-A]. The government will seek for the ruling to be annulled by the Federal Court of Switzerland, it said in a statement late on Friday. Also on Friday, MOL released parts of the UNCITRAL ruling. "Having considered most carefully all of Croatia’s evidence and submissions on the bribery issue, which has been presented in a most painstaking and comprehensive way, the Tribunal has come to the confident conclusion that Croatia has failed to establish that MOL did in fact bribe Dr Sanader," the Hungarian company said in a filing to the Budapest bourse. "Accordingly, Croatia’s case that the FASHA [First Amendment to the Shareholders Agreement] and GMA [Gas Master Agreement] be rendered null and void due to the alleged bribery fails." In 2015, Croatia ordered a retrial of former prime minister Ivo Sanader for taking bribes from MOL to allow it to acquire control over INA although the Hungarian group only holds a 49.08% stake. The Croatian Constitutional Court, which had among other charges sentenced Sanader for taking a bribe from MOL, annulled its ruling on the grounds that he was not given a fair trial due to procedural errors. 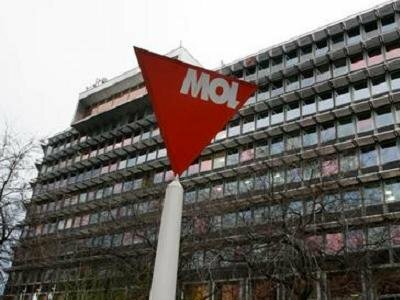 A year earlier Croatia filed for international arbitration against MOL with the aim to cancel a 2009 deal which saw MOL gain managerial rights over INA without holding a majority stake. After losing the case to MOL, Croatia is now planning to buy back MOL’s shares in INA, although securing the necessary cash for the purchase has proven to be an issue. The Croatian government controls 44.84% of INA, while institutional and private investors hold a stake of 6.08%. Croatia has also lodged a suit against MOL before the International Centre for Settlement of Investment Disputes (ICSID) in Washington. A ruling is expected this year.